Coney Island: Visions of the American Dreamland, 1861–2008 celebrates the most iconic, uniquely American amusement park in the United States. Also called, “the People’s Playground,” Coney Island is a national cultural symbol that has inspired artists, musicians, novelists, poets, and filmmakers. 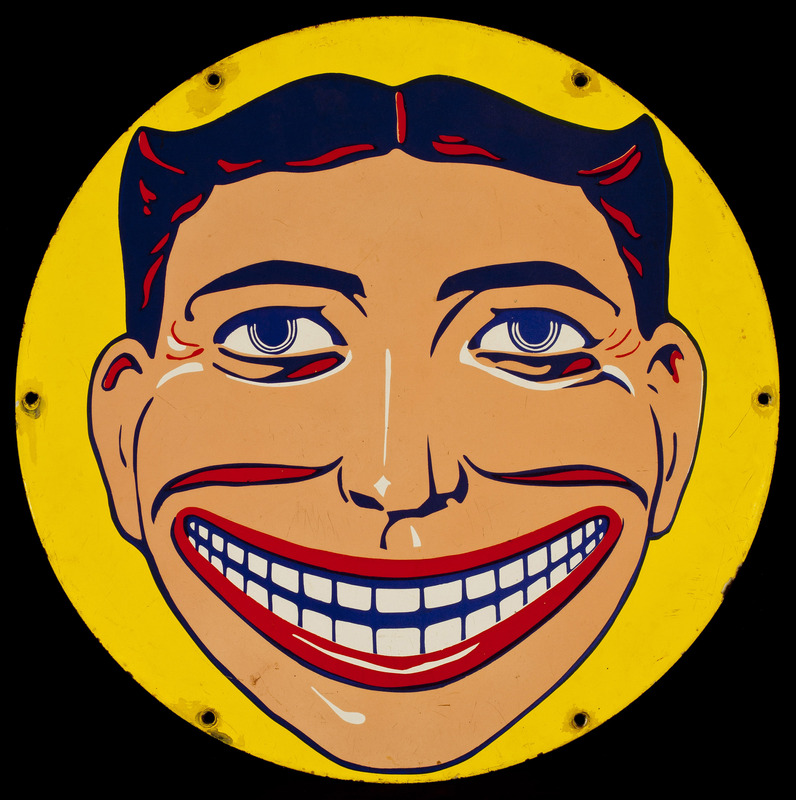 From Coney Island’s beginning as a watering hole for the wealthy, through its transformation into an entertainment mecca for the masses, to the closing of Astroland Amusement Park following decades of urban decline, the exhibition explores 150 years of the lure of Coney Island. The modern American mass-culture industry was born at Coney Island, and the constant novelty of the resort made it a seductively liberating subject for artists. Taken together, these tableaux of wonder and menace, hope and despair, dreams and nightmares, become metaphors for the collective soul of a nation. Coney Island is organized by the Wadsworth Atheneum Museum of Art, Hartford, Connecticut, and the McNay is the exhibition’s only Southwest venue. The exhibition features more than 140 objects—paintings, drawings, photographs, prints, documentary and popular film clips, posters, side show banners, architectural artifacts, memorabilia, and carousel animals. From early depictions of Coney Island by Impressionists William Merritt Chase and John Henry Twachtman to modern and contemporary images by Diane Arbus, Walker Evans, Red Grooms, Yasuo Kuniyoshi, Reginald Marsh, Joseph Stella, Swoon, George Tooker, and Weegee, Coney Island investigates America’s playground as a place and an idea. A fully illustrated 304-page catalogue accompanies the exhibition as well. Coney Island: Visions of an American Dreamland, 1861–2008 has been generously funded by the National Endowment for the Humanities: Celebrating 50 Years of Excellence, the Henry Luce Foundation, and The Mr. and Mrs. Raymond J. Horowitz Foundation for the Arts, Inc.
Lead funding at the McNay is most generously given by the Dan and Gloria Oppenheimer and the John L. Santikos Charitable Foundation Funds of the San Antonio Area Foundation and an anonymous benefactor. Additional support is provided by the Elizabeth Huth Coates Exhibition Endowment, the Arthur and Jane Stieren Fund for Exhibitions, the G.A.C. Halff Foundation, the Joan and Herb Kelleher Charitable Foundation, Barbara and Stanley Spigel, the Director’s Circle, and the Host Committee.